North Korea's missile launch produced fear, anger, and condemnation from many in the international community. But was it really all about domestic politics? 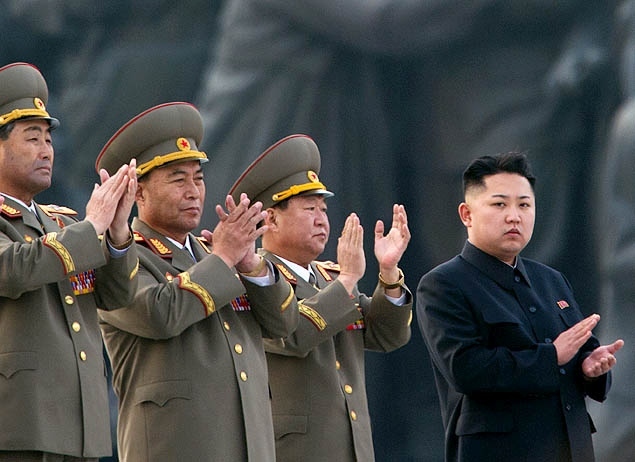 North Korea’s provocative missile launch last week evoked a feeling of deja vu. On its surface, it seemed to be just another instance of “saber rattling” aimed at foreign targets–the latest act in a long series of missile launches, nuclear tests, verbal threats, and other provocations calculated to signal strength, to deter, or perhaps even to coerce or blackmail the foreign opponents of the insular Communist regime. But there is reason to believe that this high profile launch–and many other provocative actions in world politics–are driven less by foreign policy goals than by the requirements of domestic politics. Other examples of this pattern abound. In the Cuban Missile Crisis, analysts have linked President Kennedy’s tough response to the discovery of Soviet missiles in Cuba to a need to show resolve to combat domestic charges of his being “soft on Communism” after the Bay of Pigs debacle. Similarly, Soviet leader Nikita Khruschev’s intransigence and demands for concessions such as the withdrawal of U.S. missiles in Turkey can be traced to his need to placate hardliners in the Communist party. After the U.S.-led invasion failed to uncover evidence of Iraq’s alleged weapons of the mass destruction (WMD), Western analysts were puzzled at Saddam’s willingness to endure painful sanctions, isolation, and even war rather than simply prove to UN weapons inspectors that he had dismantled his WMD. But after his capture, Saddam admitted that he had been bluffing in order to deter Iran–and likely to maintain his own power in the cut-throat domestic scene. Had he admitted to disarming, it is likely that the military would have attempted a coup against him (as it reportedly had on several occasions from 1988-1990, which had encouraged him to demonstrate his toughness by invading Kuwait in August 1990). In short, many provocative acts in world politics can be traced–at least in part, and sometimes entirely–to the requirements of domestic politics. But foreign actors often misperceive the underlying sources of this behavior, and assume these actions are driven by aggressive designs on the world stage. Robert Jervis, in his book Perception and Misperception in International Politics, notes that a common psychological bias is to assume other countries’ behavior is the product of a rational, unitary actor who is intentionally targeting you. In reality, your country may just “be in the way” of the other state’s domestic political struggle. What do you think? How much of countries’ hostile rhetoric and behavior on the world stage can be traced to domestic politics rather than real international ambitions? Is this less of a problem in democracies, or does the nature of democratic politics actually promote more conflict with foreign opponents? 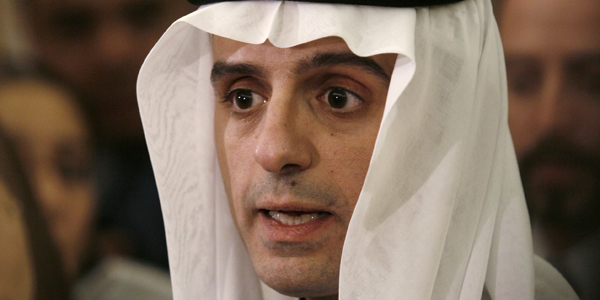 Saudi Arabia's ambassador to the U.S., Adel al-Jubeir, was the target of an assassination plot allegedly planned by Iran. The incident has raised tensions between the U.S. and Iran and it isn’t clear where all of this is headed. But for students of world politics, these events have already illustrated several important policymaking challenges. 1) The importance (and difficulty) of obtaining good intelligence. A number of experts are questioning the administration’s allegations against Iran, saying the plot doesn’t fit what we know about the way Iran or its Quds Force operates. The skeptics include prominent realist Stephen Walt, Middle East specialist Kenneth Katzman, an Iran expert at Johns Hopkins, and other respected analysts. As we learned from the Iraq WMD case, intelligence failures can have serious consequences, and a number of observers have already noted that the Obama administration’s accusations and increasingly heated rhetoric could strengthen hardliners in the U.S. and paint Obama into a corner. If the plot ends up not to be Iranian in origin, these claims could damage the credibility of an administration that defined itself in opposition to the allegedly careless and rash Bush administration. 2) The limits of the “rational actor” model (and the powerful temptation to employ it nonetheless). Political scientist Robert Jervis has highlighted the tendency for policymakers to assume that the behavior of other actors is more coordinated and centrally planned than it actually is. Iran is not a unitary actor and one explanation for this uncharacteristically clumsy plot is that a rogue element of Iran’s Quds Force was “freelancing” rather than taking orders from Iran’s president or Supreme Leader. Yet the Obama administration has assumed (as leaders frequently do) that any behavior linked to a certain state–Iran, in this instance–must have been planned and directed from the highest levels. 3) The complexity of Middle East politics. One expert notes that the most believable aspect of the entire plot is the Iran would target Saudi Arabia’s officials and regime in some way. While many in the West view the Muslim world as monolithic, the Sunni-Shi’a divide has led to serious conflict not only within states, such as Iraq and Bahrain, but between countries dominated by different sects of Islam. Saudi Arabia is a powerful Sunni leader in the region, while Iran’s population is largely Shi’a, and the “cold war” between these countries goes back decades. What do you think? Does the evidence linking Iran to this plot seem compelling? Is the Obama administration succumbing to the unitary actor illusion? What will be the ramifications if the allegations prove false? If they prove true? 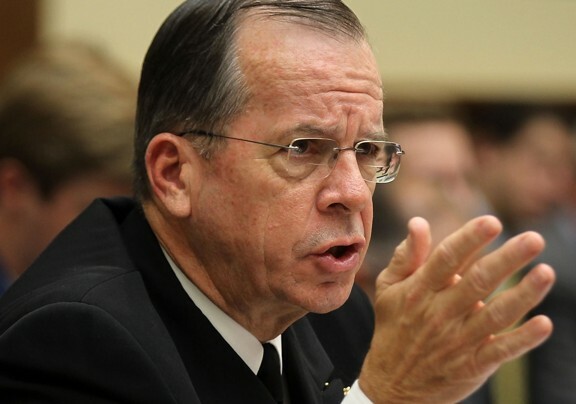 Chairman of the Joint Chiefs of Staff Admiral Mike Mullen told Congress on September 22 that Pakistani intelligence has been cooperating with terrorists in attacks on U.S. targets. The U.S.-Pakistani relationship has become increasingly strained in recent weeks. On September 22 Admiral Mike Mullen, the Chairman of the Joint Chiefs of Staff, accused Pakistan’s Inter-Services Intelligence agency (ISI) of aiding the Taliban-affiliated Haqqani network in its September 13 attack on the U.S. embassy in Kabul. Mullen went so far as to call the Haqqani network a “veritable arm” of the ISI. Pakistan’s foreign minister fired back that the U.S. would “lose an ally” if such talk continued. Then, three days ago the New York Times published a report on a 2007 attack in which Pakistani soldiers ambushed U.S. soldiers who were trying to settle a border dispute along the Pakistan-Afghanistan border. What are the implications of the bureaucratic politics model for the future of the U.S.-Pakistani alliance? Can you identify bureaucratic politics shaping actions on the American side as well? (Think about the interests of the U.S. military, the State Department, the intelligence community, etc. ).